EDINBURG — The UTRGV baseball team scored six runs in the sixth to come from behind and beat Illinois at Chicago (UIC) 9-4 in the series finale on Sunday at UTRGV Baseball Stadium. UTRGV (5-3) trailed 4-0 with two on and one out in the sixth when an error brought home the first run. Then, with two outs, UIC’s Jacob Key (0-1) issued a walk to load the bases before a pair of hit batsmen forced home two runs. A passed ball scored the tying run, and then sophomore Coleman Grubbs laced a two-run single to give UTRGV the lead. Grubbs and sophomore Elijah Alexander each finished 2 for 5 with a run scored. Senior Austin Siener went 2 for 4 with a double, a walk and two runs scored while sophomore and Mercedes alum Matthew Mendoza went 2 for 3 with a double, a walk and a run scored. UTRGV added a run in the seventh on an error and then completed the scoring in the eighth, when senior Cris Castillo hit a two-run double. That made a winner of junior Chase Adams (2-0), who struck out six in six innings while allowing four runs (one earned) on five hits and four walks. Junior McAllen Rowe alum Ryan Jackson struck out five in three scoreless innings for his second save. UIC (5-2) led 1-0 after the first on an Aaron Ackerman sacrifice fly. UIC added three unearned runs in the fifth, with one scoring on a wild pitch and two more coming on a Scott Ota double. 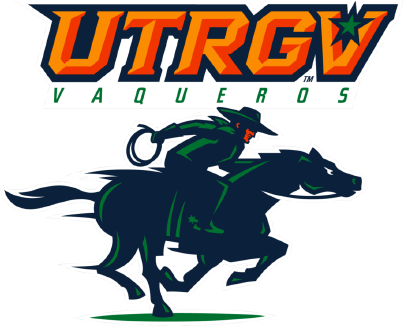 UTRGV hosts No. 25 Mississippi on Manic Monday at 7 p.m. at UTRGV Baseball Stadium. The first 100 fans in attendance will receive stadium cups. Gates open at 6.